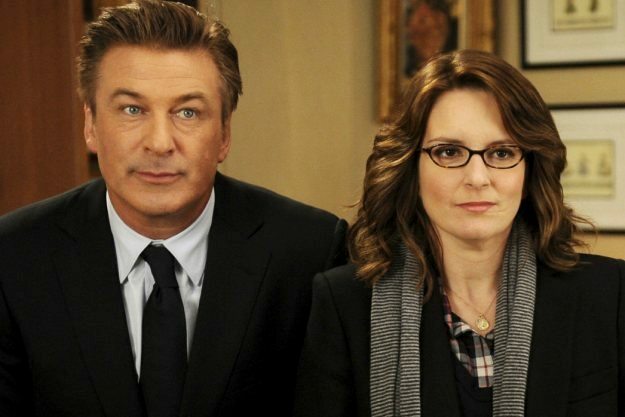 Is there a more fertile comic imagination today than Tina Fey’s? Collaborating on Unbreakable Kimmy Schmidt with co-creator Robert Carlock, the wit pours forth – so much so that many of her best jokes are almost thrown away, as in this tiny moment from the season finale, which made me laugh out loud: Titus Andromedon, dragooned into a bus trip to Indiana, sits glumly on board, reading a magazine called Land Mall. Sometimes, there are a half-dozen such moments in a single episode. So why is so much of the show desperately, heartbreakingly labored? Having binge-watched all 13 episodes, I’m still puzzling it out. The premise (Kimmy, imprisoned along with other women by a cult leader, is released after years in captivity, and moves to New York to start a new life) is promising. 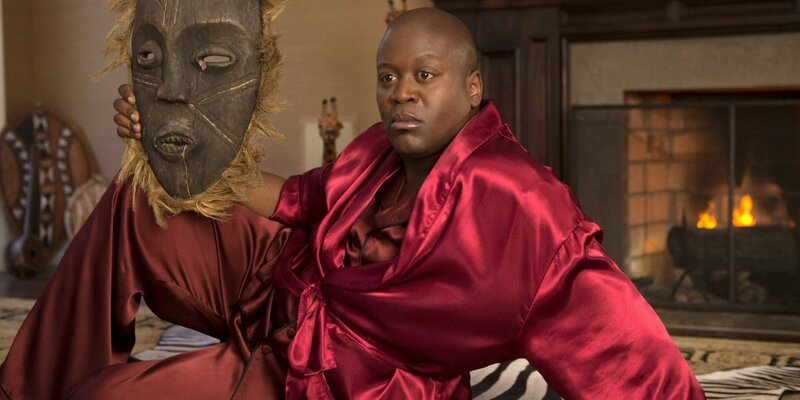 The leads – Ellie Kemper as Kimmy, and Tituss Burgess as Titus (one s), as her gay best friend (I guess every sitcom needs one) – are skilled comics with considerable charm. Surely, they’re not at fault? And yet – remembering Tina Fey acting her own material in 30 Rock, I began to understand the problem. Fey was like a throwback to the great comedians of yesteryear (I often thought of Eve Arden when I watched her). Working alongside the equally savvy Alec Baldwin, they evoked the chemistry of Rosalind Russell and Cary Grant in His Girl Friday. In specific terms, Fey and Baldwin knew enough to underplay the material, giving it a dry, sardonic spin that let the good writing speak for itself. What they did looked effortless – but there was magic in it. Here, Kemper and Burgess almost literally knock themselves out. In her case, this includes a shtick where her character seems possessed by some street-spirit, forcing her speak in hip-hop patois. Even if Kemper did it better, it makes no sense – the premise behind Kimmy is that she’s managed to retain her Midwestern guilelessness in the face of impossible odds . With Burgess, the style is more generally over-energized – and really, how many times are we supposed to laugh at tiny variants on the same old Black queen, “oooh, snap!” clichés? I get the feeling Fey and company think that Burgess is the show’s breakout star, and they’re hell-bent on making it happen. It’s all over the place with the supporting cast. Jane Krakowski, late of 30 Rock, does something similar here. I don’t think she’s especially gifted, but at least there’s a level of restraint. At the other end of the spectrum, cameos by Tim Blake Nelson and Jon Hamm are so overwrought you may think your TV is about to explode. I appreciate that Hamm likes to play against his handsomeness, but here it just doesn’t work. Nor does the landlady character, Lillian, played by Carol Kane, who – so lovely in her Mary Pickford-esque youth – has aged into mature adulthood about as successfully as… well, Mary Pickford. But to be fair, the writing for her doesn’t help. It’s nearly always focused on three topics – racism, flatulence, and sexual fantasies of the elderly. Not exactly a comic trifecta. Although the first season trajectory was dispiriting – Unbreakable Kimmy Schmidt started strong, and went into free-fall later – I haven’t given up. Episode 10 (Kimmy’s in a Love Triangle! ), includes a marvelous cameo by Dean Norris… and ends with an extended parody of a 1930s film musical that is silliness made sublime (see clip below). So, we’ll see. If Fey, Carlock and Kimmy can do this once, maybe they can do it again.